Another year is coming to a close as we draw closer and closer to the end of 2018. As usual, we’re taking this time of year to look back at our favorites entertainment from the year that was. The ComicBook.com team came together to vote on the best in television, movies, and comic books from the past 12 months. Nominees were selected and now winners have been chosen from those groups. While a lot of media attention is spent on covering the superhero adventures published by the big two publishers, Marvel and DC Comics, it’s important to recognize the best of the independent comics that are telling new, creative stories in the industry. Saga, by Brian K. Vaughan and Fiona Staples! Saga has been so good for so long that sometimes it feels as if the series is taken for granted. Fans will lose their lesson in that regard after this year since the series is on a year-long hiatus while creators Fiona Staples and Brian K. Vaughan recharge their creative batteries. While the absence of Saga is sure to instill a sense of longing in fans, Staples and Vaughan left their readers with a hell of a send-off in the form of a totally game-changing final issue before the break. Saga started as the story of a husband and wife just trying to get by while the world tries to kill them. It has grown into a broader story about the nature and definition of family. After that jaw-dropping final issue, we can’t wait to see what Saga becomes next. 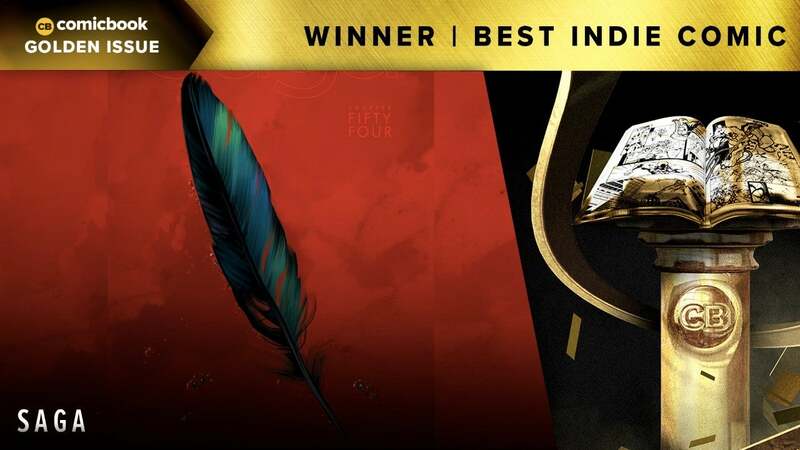 As great as Saga is, it had plenty of competition in this category this year with several other creative and exciting nominees. Coda asks what happens to a fantasy world after the apocalypse hits. Crowded is an examination of modern culture’s obsession with social media and the gig economy. Flavor plunges into the underexplored genre of food comics. The Seeds brings readers to a stark and haunting future. All were worthy contenders. Be sure to check back to see the rest of the Golden Issue winners for 2018 as they are announced throughout the week, and be sure to share your favorites in the comments!